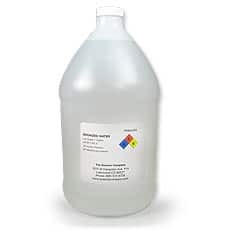 Lab Grade Deionized Water, 0.05 micron, 1 gal. for sale. Buy from The Science Company. 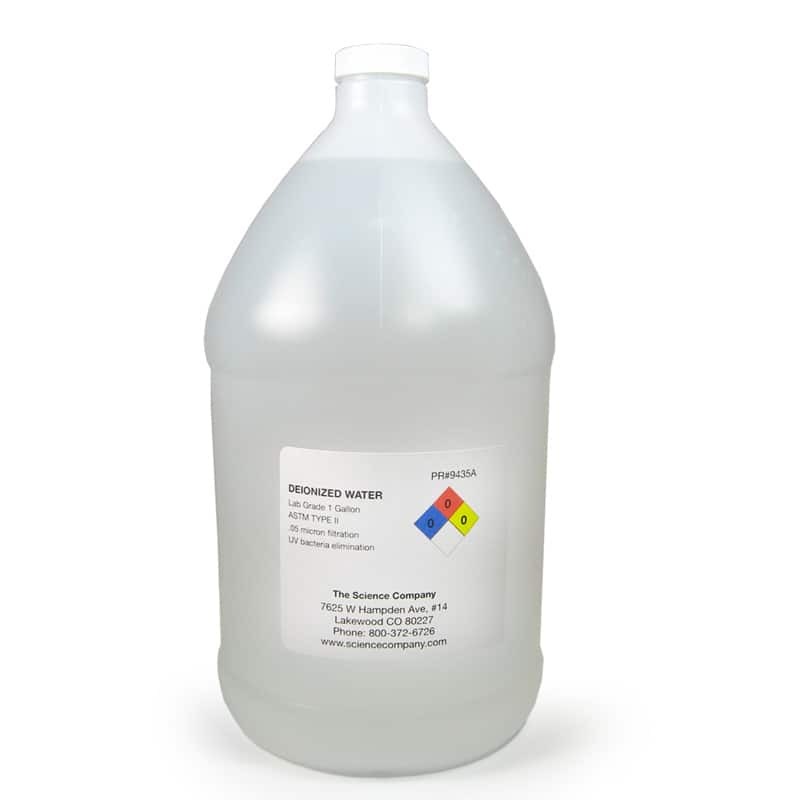 Our UV sterilized deionized water is highly filtered to 0.05 Microns. Clean room bottled and packaged from Type I, 18 megaohm source*. Each gallon jug comes ultra protected in a heat-sealed plastic bag. Deionized water is pure from heavy metals and inorganic ions that interfere with analytical procedures employing atomic absorption photometry, chromatography, tissue culturing, etc. Lab grade pure DI water is useful in many industrial processes. When water is deionized, it eagerly draws in other minerals and elements, such as those found in dirt and contaminants. Therefore it makes a great cleaning agent for surfaces such as windows, table tops, mirrors, baseboards, and carpets. 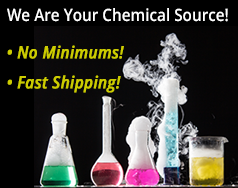 Since there are no minerals in deionized water, it leaves behind no residue, spots, or stains. It is also highly effective as a second-stage rinsing agent because it will remove all trace amounts of the cleaning solution. * NOTE: Once bottled, this material is no longer considered Type I as resistivity may change. We recommend this water for all Type II applications including electrochemistry, sample dilution, radioimmunoassay, and media preparation.